If you are an elementary teacher then you understand the struggle that comes with teaching students how to summarize. The concept of summarizing is one of the trickiest for students to grasp. Recap the whole book or chapter, but make it brief? Insert confused student faces here! 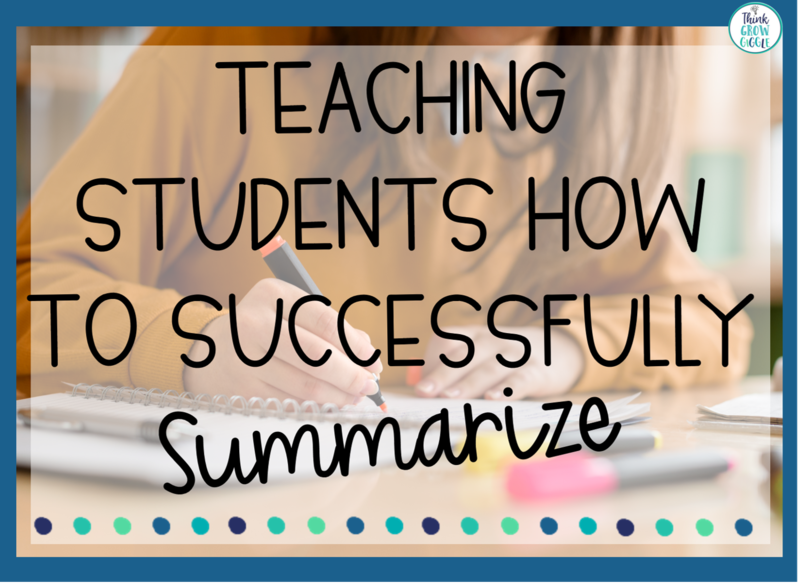 While there are different strategies to teach students how to summarize, I have found that the best way to drive home the concept of summarizing is to start with teaching students what they should NOT do when summarizing. 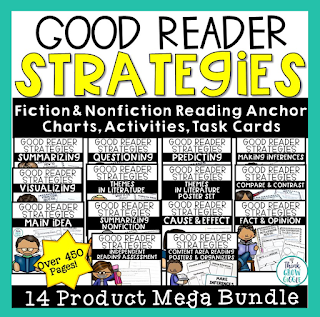 The number one thing students should NOT do when summarizing is to retell what they have read and usually, this is what they do initially! 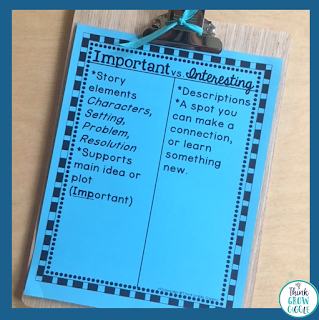 I prepare an anchor chart ahead of time to complete with the students during the initiation of the lesson. A simple SUMMARY vs RETELL t-chart always does the trick. Then I enlist students to tell help me fill it in by telling me what they already know about both summarizing and retelling. Their ideas are discussed and recorded. Using the completed T-chart we begin our discussions on the differences between summarizing and retelling. I love to use modeled writing in the classroom for teaching just about everything! After we discuss our summary vs. retell T-chart, I share with the students the retell that I prepared ahead of time, of one of the previously read books that I have displayed. 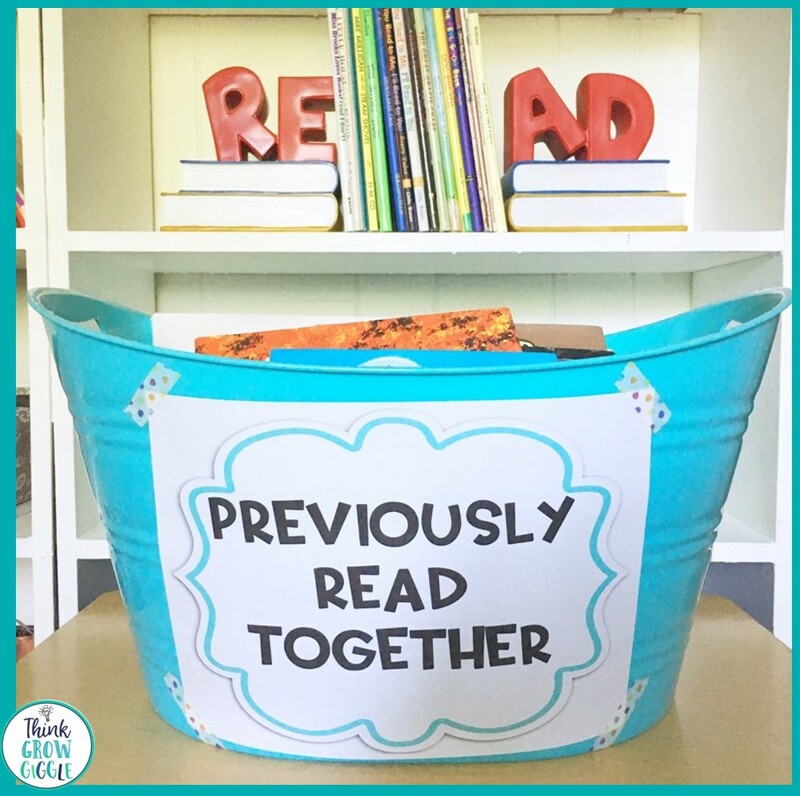 Students can immediately pick the book that is being retold because it includes all the details of the story. At this point, I enlist help from the students to cross off some less relevant details from my retelling that would not make it into a summary of the same book. Then I unveil the pre-written summary. Presto! The summary looks like the retell without the unnecessary details. 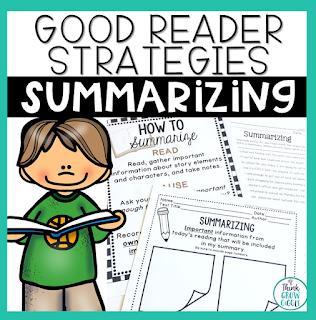 This part of the lessons helps students to understand not just the difference between summarizing and retelling but also illustrates to them that they already have the skills to write summaries! After analyzing the modeled writing, students are able to grasp the difference between summaries and retells. Now is the time that we practice. I send small groups of students off to write summaries of different previously read picture books, but only give them an index card to write their summaries on. This reminds the students that summaries include only the critical information from the book and are brief. When students are done, we come back together as a class and begin to share. 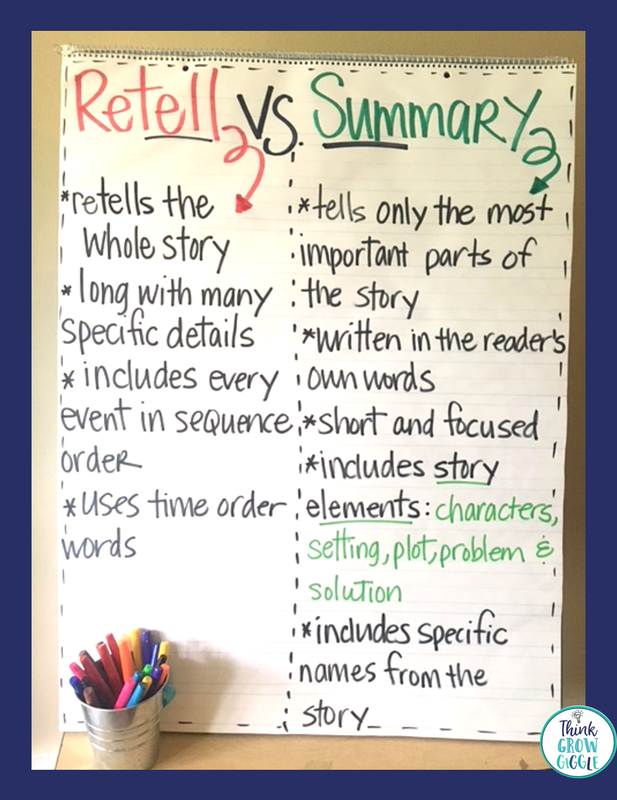 We use our class created T-chart of summaries vs. retell to help us decide if students have written brief summaries or story retells. Students are also able to evaluate if the summaries that students share included important information since they have all heard the stories that students wrote summaries about. The 5 Ws-Students answer the 5W questions about the book that they are reading to help them write their summary. Who? What? When? Where? Why? 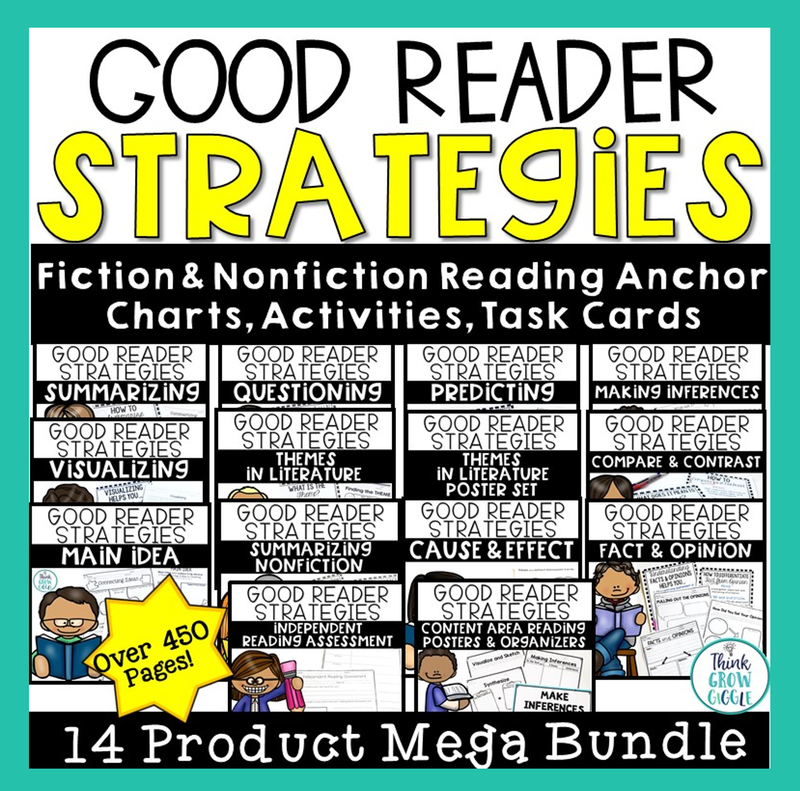 SWBSA-This strategy works well when reading books with strong characters. This stands for somebody, wanted, but, so, and. Once the students complete an SWBSA organizer they can easily write a summary. 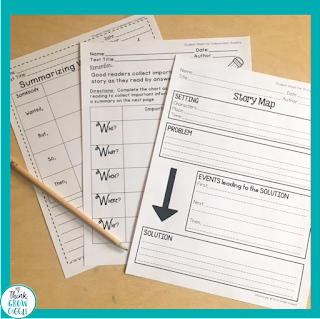 Story Map Summaries-Students complete a story map after their reading. Using the completed story map, students then write a summary. 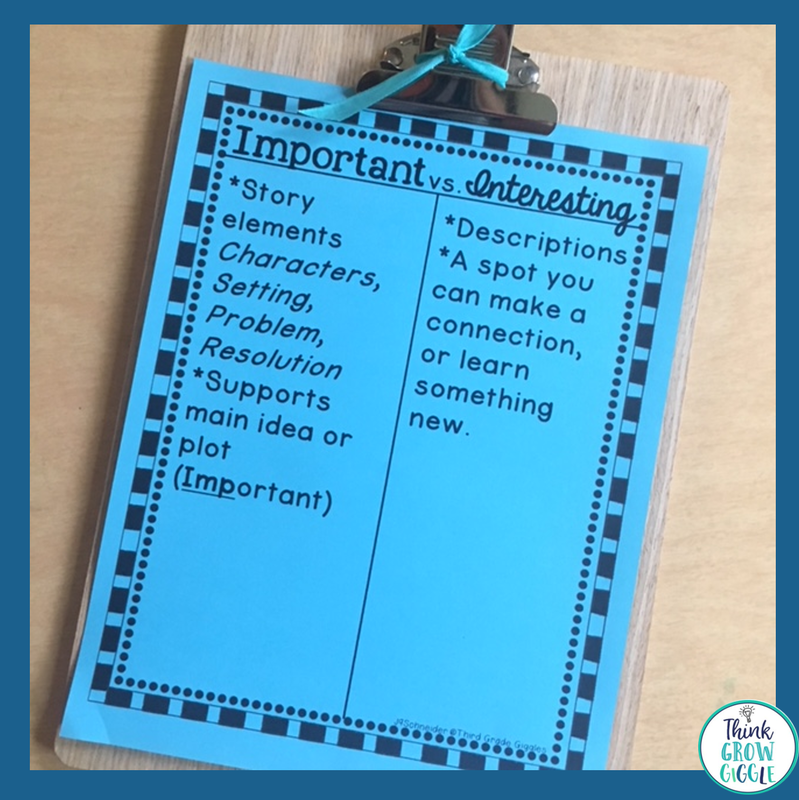 If you are finding that your students are struggling with including important information in their summaries, try teaching a lesson on interesting vs important information. Create a class t-chart to help students understand the difference between the two. What is YOUR best tip for teaching students how to summarize? Share below!